Testosterone replacement drugs are ubiquitous. It is hard to sit through an afternoon of TV without hearing a commercial for a drug that helps men fight “Low T” or “Low Testosterone.” We are seeing even more commercials now. These new commercials are from lawyers talking about testosterone replacement lawsuits. Probably not the best way to find a lawyer. Call 800-5538082 for a free consultation or reach out to us confidentially online. Getting older, I can testify, is not fun. We are easy prey to the lure of testosterone supplements. These drugs promise to inject, if you will, a sense of youthful vigor back into both the physicality and sexuality of men. It is, as the commercials say, for energy and libido, among other things. These advertisements, which market familiar brands such as AndroGel, Androderm Testim and Axiron, have been extremely effective. Accordingly, the use of these drugs has exploded in the last few years, with nearly $2 billion in sales in 2012 alone. In fact, over 5.3 million prescriptions were written for these drugs in 2011. 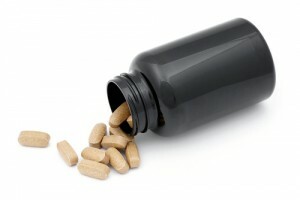 At present, nearly 4% of men over 60 are taking a testosterone booster. Men cite the fact that these drugs are effective in treating bone density issues and muscle mass deficiency, as well as with sexual performance But are they aware that these drugs may cause heart attacks? Researchers have found in at least one study that for every 1,000 men over age 65 who take testosterone replacement drugs, up to 11.52 may suffer a heart attack, compared with only 5.27 of 1,000 men over age 65 who do not take testosterone supplements. That’s about two to one which is the gold standard of medical causation. When testosterone medication was taken by patients with pre-existing heart conditions, the risk of heart attack increases two to three fold. This shows medical causation too, if these number hold up. Think about it. If you are more than twice as likely to have a heart attack, that means it is more likely than not that the supplements caused your heart attack. On a human level, this is a lot of dead people in exchange for chasing the rather limited benefits you get from increased testosterone. Anecdotally, I know people who have tried these supplements. They said they got some results but it was nothing to write home about either. Researchers, who had long suspected a link between testosterone treatment and risk of heart attack, believe certain mechanisms in testosterone therapy medications may trigger an increase in this risk. In fact, previous studies have shown that hormone replacement therapy in women increased their risk for heart attack, stroke, and breast cancer. These new findings have confirmed the suspicions of many doctors, but further testing will have to be done before anything conclusive can be established. Cardiologist Steve Nissen, chair of cardiovascular medicine at the Cleveland Clinic, has suggested that the Food and Drug Administration (FDA) should require companies that sell testosterone therapy to conduct studies examining all potential risks. Until that happens however, people who take these drugs should be careful to pay attention to any changes that their body may be going through and to seek medical attention whenever necessary. The nature of the lawsuits in these cases will be simple. You knew or should have known of the risk of these supplements and communicated these risks adequately to doctors and to end users. No one is saying – at least not yet – that there should be some sort of testosterone supplement recall. But give people an honest choice to weigh the risks and the benefits. That is going to be the core of the legal proceedings against these manufacturers. If you have suffered a cardiac injury – or you have lost a loved one – while on testosterone supplements, you may have a legal claim for money damages. Call 800-5538082 for a free consultation or reach out to us confidentially online. There is no cost or fee to you unless we get a financial recovery for you.